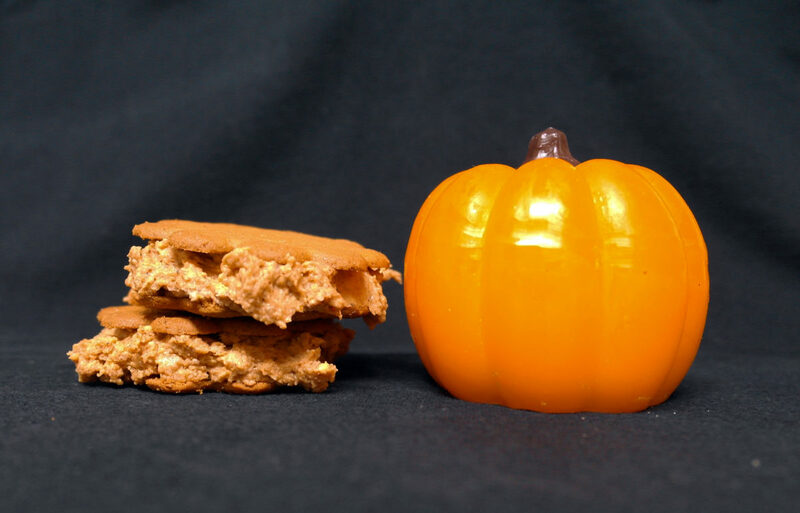 You’d like a Halloween treat that gives you a taste of the autumn season, and one that’s a sandwich to boot? Well then get yourself out there and pick up some pumpkin puree (not pumpkin pie in a can), a box of sugar-free vanilla pudding mix, and a short container of fat-free cool whip, then find some ginger cookies. We found some Anna’s ginger thins Swedish cookies on sale, which made a perfect experience for having the taste of the pumpkin dip not get overshadowed by a thicker ginger snap. Tip: stack, wrap, and freeze for a cleaner snack. When ghosts come for you and see you joyfully chomping on this healthy snack, they’ll just move on to the shlub next door who’s sucking down Snickers. Sandwiches save you again.